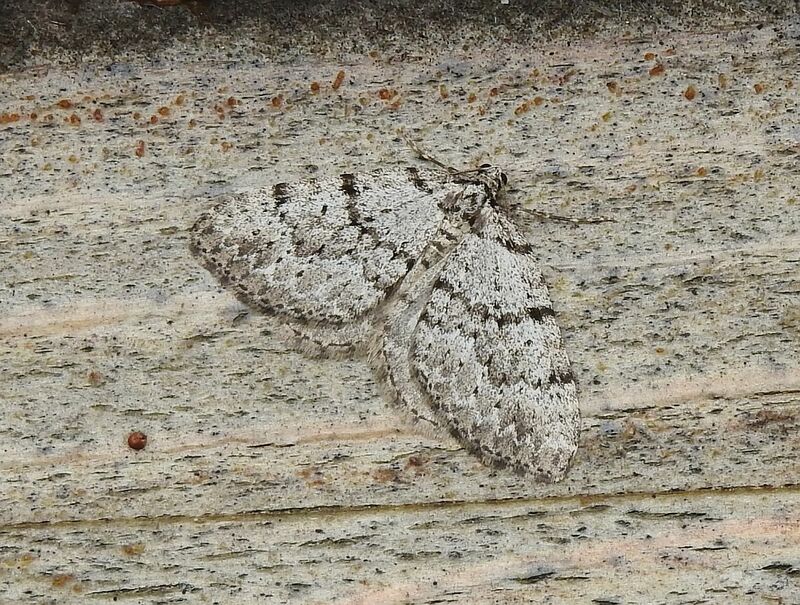 Jochen Möhr sends photographs of two moths from his property in Metchosin, April 17. 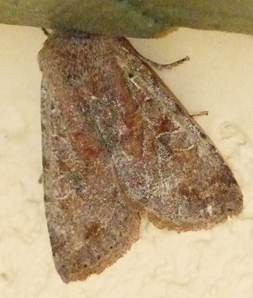 Rosemary Jorna sends a photograph of a moth from her garden in the Kemp Lake area, April 16. Jeremy Tatum writes: Every so often (too often!) I make mistakes of one sort or another in these notes. Even if it is something that may seem as trivial as a small spelling mistake, if any viewer spots one, please, please do let me know! I shan’t be in the least offended – on the contrary I shall be very happy. It’s easy for me to correct it. 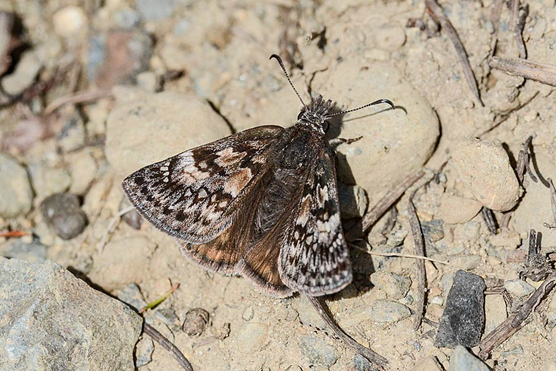 Mile Yip writes from Nanoose: Hasn’t been much butterfly weather up here, but I saw a Western Pine Elfin last week on the Cross Road trail. 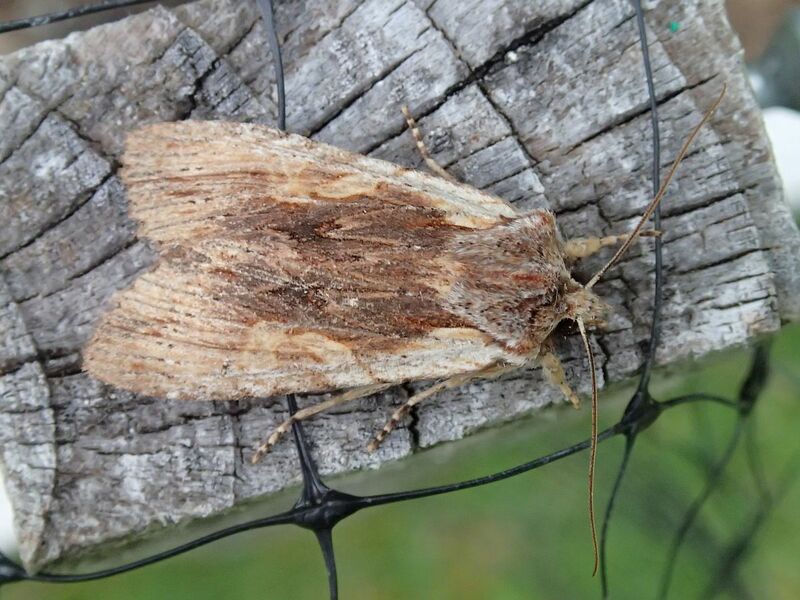 I checked again today but I think it was too cool – about 11° C. At the warmer southwest face of the notch several Sara Orangetips were flying as well as two Propertius Duskywings and three Cabbage Whites. 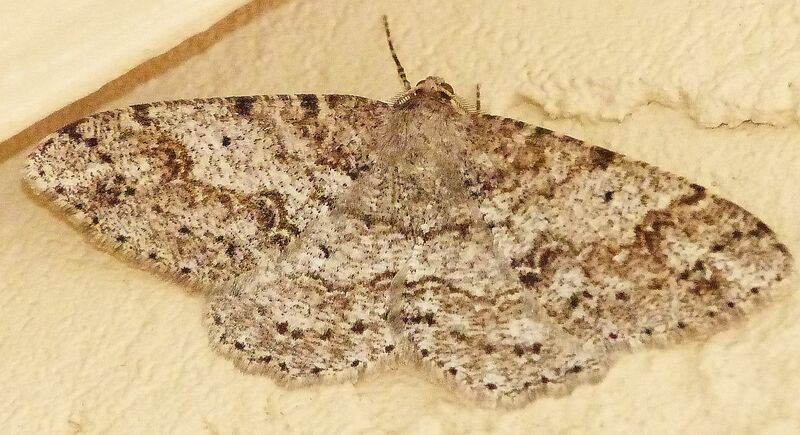 A female Propertius Duskywing did settle down to bask and allowed for a photo. Gerry and Wendy Ansell write: There were two Sara Orangetips at the base of Christmas Hill yesterday (April 15) at around 4:15p.m.. They were beautiful, fresh specimens. Also a few Cabbage Whites. Sonia Voicescu is by now well engaged in putting all the butterfly observations that appear on Invertebrate Alert on to eButterfly. It is a big job (and likely to get bigger as the season goes on!) so we thank Sonia for it. Viewers may notice that Val usually accompanies his observations with precise geographic coordinates. This is a great help to Sonia, so we encourage anyone who is tech-savvy and who can easily give coordinates (of butterfly sightings) to do so. However, we stress that we certainly don’t want butterfly watching to become a chore, so, if you can’t easily get coordinates, don’t worry about it! Just send in your observations as usual, with a reasonable indication of where (not “my back yard”!!!!!!) and when you saw it. 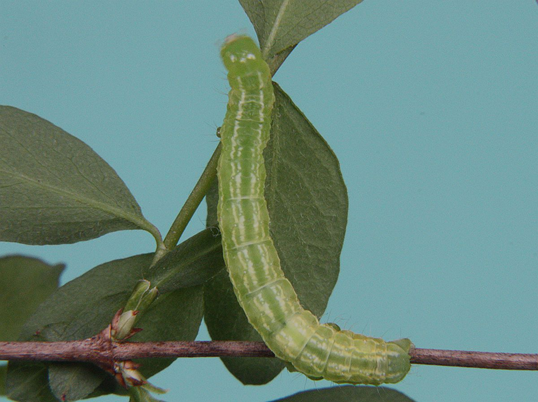 See March 19 entry for more information on eButterfly. There is also the question of the names to be used for butterflies. eButterfly may not use the same names that we have become accustomed to using. Sonia and I are keeping in touch about this. 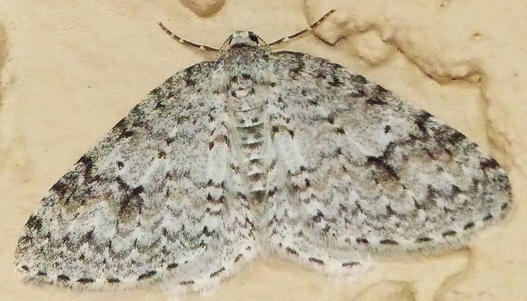 For example, what we usually call the Western Spring Azure is called by eButterfly the Echo Azure. Every book seems to use a different set of names, and the names seem to change with alarming frequency. Many butterflies have what is called an “extensive synonymy”! On Invert Alert, I do not try to keep up with every name-change. I think it would be quite confusing to change them every year. I try to use a consistent set of names from year to year. I list below the names that are used on Invertebrate Alert for some of our commoner butterflies. These names are neither “right” nor “wrong” – they are just the ones that we use on Invertebrate Alert. You will find many different names elsewhere. 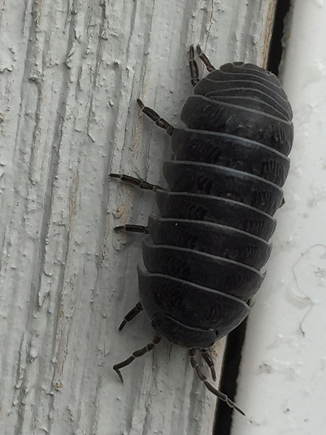 Jane Cameron sends a photograph of a Pillbug from her patio door. 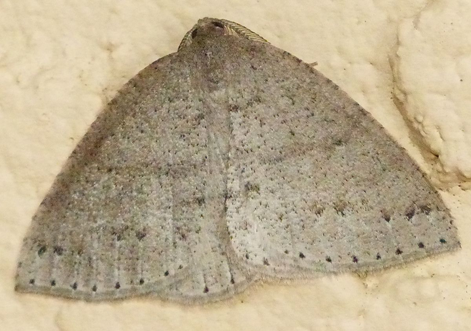 Although it is not, of course, a bug, we can call it a “pillbug” as long as it is one word, just as we use “dragonfly” and “butterfly” although they are not flies. The spellings pill bug, dragon fly and butter fly won’t do! 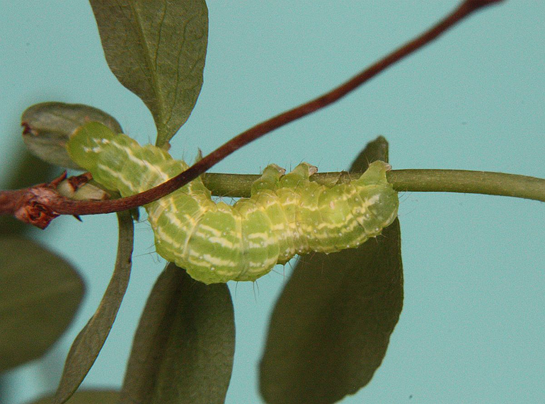 Jeremy Tatum sends photographs of a noctuid caterpillar found yesterday on Snowberry along Lochside Drive north of Blenkinsop Lake. It belongs to the subfamily Plusiinae – most of whose members have only two pairs of mid-abdominal prolegs instead of the usual four. 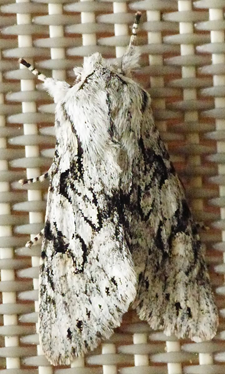 The most familiar plusiine here is Autographa californica. However, I am almost certain (we’ll await emergence of the adult moth to be absolutely certain) that this is Autographa ampla. Further, it’s a boy! 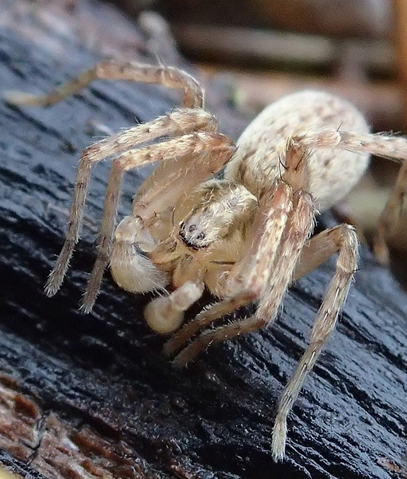 Rosemary Jorna found this spider yesterday in the Sooke Hills. 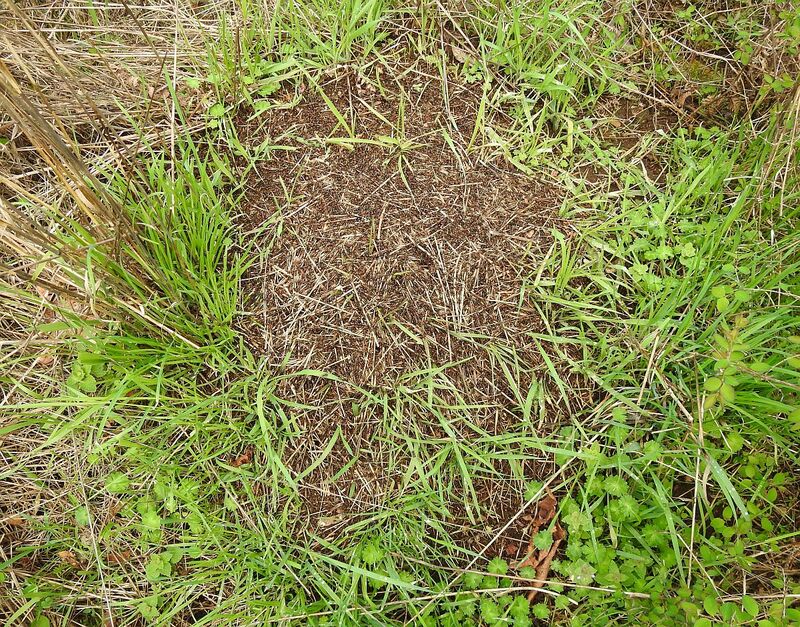 Robb Bennett writes: The spider is an immature male anyphaenid. 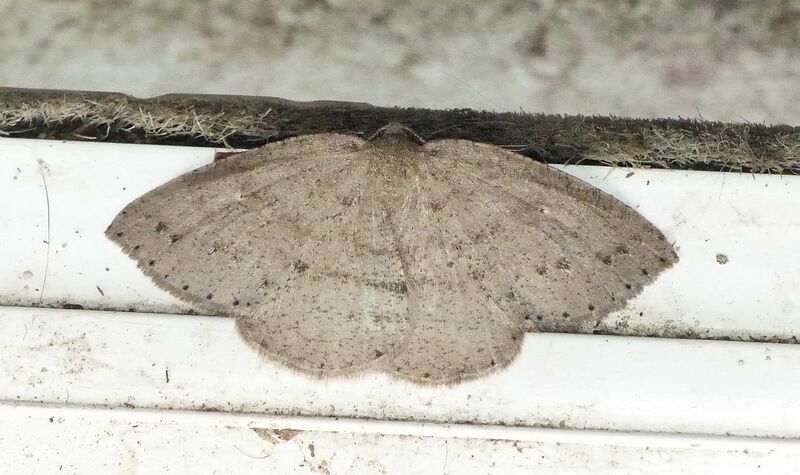 There are two species in British Columbia : Anyphaena aperta (Banks) and Anyphaena pacifica (Banks). Both are common, especially in conifer woodlands, but I think aperta is the one most frequently seen here on the south coast. Jeremy Tatum writes: I have seen three butterflies today. The last butterflies reported on this site were Val’s Western Spring Azures on April 9, and I haven’t seen one since a brief glimpse of a Satyr Comma on April 4. Today I saw a Cabbage White crossing McKenzie Avenue just east of the McKenzie interchange. Then near the transformer end of the Munn Road pond I saw a Western Spring Azure (I had forgotten how stunningly blue they are!) and a Milbert’s Tortoiseshell. 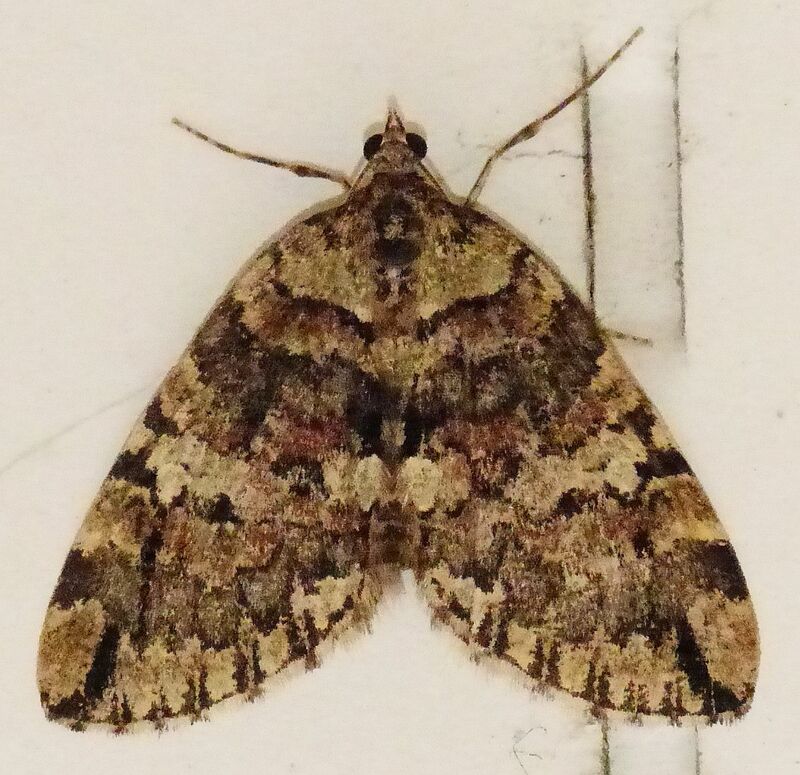 I don’t know when I last saw one of these – I don’t think I saw one last year. It may not hang around for long, because I don’t think there are any nettles nearby. 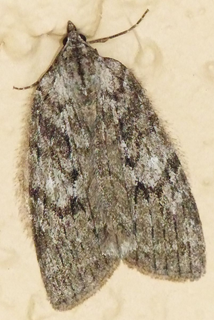 Also at Munn Road were a very few Mesoleuca gratulata, Epirrhoe plebeculata and Leptostales rubromarginaria. I don’t believe the caterpillars of the latter two species are known. Neither oviposited for me today. Jochen Möhr had a poor haul last night – “only” (!) 24 moths. Here are some of them. 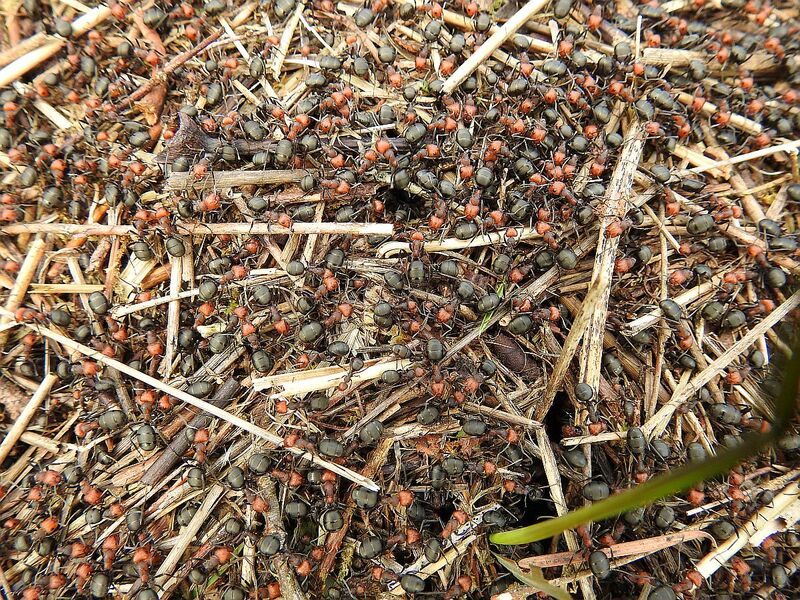 Jody Wells sends pictures of thatcher ants from Oldfield Road, Central Saanich, April 9. 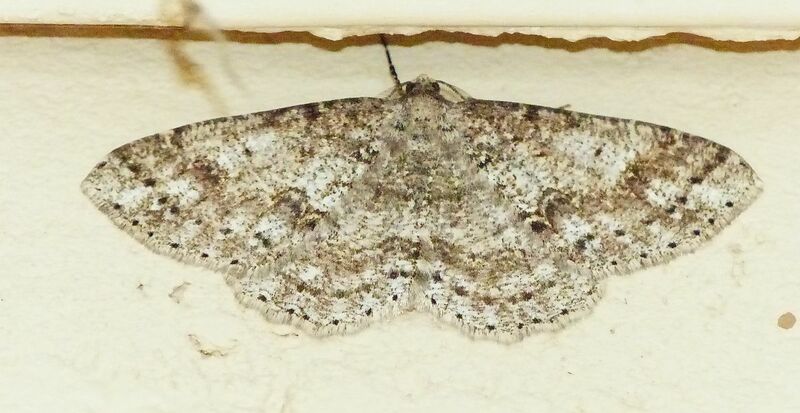 He also sends a photograph of a geometrid moth from West Saanich Road on the same date.